Hedonism in America: Eating ourselves to death? Click the book cover to visit its Amazon page.Do you back Bloomberg’s ban on BIG? That’s the main question today; and OurValues is a great place to express your opinion to readers nationwide. Most readers don’t comment. If you do take a moment to add your thoughts—you just might sway other readers to your point of view. That’s the purpose of OurValues: encouraging civil dialogue on hot-button issues. Is it your right as an American to buy and drink a sugar-sweetened beverage of any size? If we ban supersize drinks, are we on the slippery slope to socialism? Or, is a ban on big beverages the best thing to do for public health? New York City Mayor Bloomberg is pushing a proposal to ban the sale of sugared beverages bigger than 16 fluid ounces in the Big Apple. The ban would apply to restaurants, fast food joints, street carts, sports stadiums, movie theatres, delis, and more. He agrees with health experts that the consumption of sugared beverages is a major cause of the obesity epidemic. The proposed ban isn’t going down well with the American soft-drink industry. The industry is fighting back, defending our freedom of choice. One weapon is New Yorkers for Beverage Choices, which defines itself as “a coalition of citizens, businesses, and community organizations who believe that consumers have the right to purchase beverages in whatever size they choose.” Their tag line—“What’s next?”—is an ominous warning of the slippery slope ahead. Among Wansink’s many studies, perhaps his most famous is the bottomless soup bowl. In this experiment, a participant is invited to eat a bowl of, say, tomato soup. Unbeknownst to the participant, there’s a hidden tube connected to the bottom of the bowl that leads to a pump and vat of soup. As the person eats and the level of soup slowly falls, additional soup is slowly pumped in so that the level in the bowl never falls below half. The result? The average person eats 73% more soup than they would have otherwise. The reason is that visual cues trump the feeling in one’s stomach. If the bowl isn’t empty, then you must still be hungry. Deciding how much to eat or drink isn’t always a rational process. Among his other findings, Wansink found that the bigger the group you eat with, the more you eat. The bigger the serving, the more you eat. The bigger the plate, the more you eat. And, the more distractions (like watching TV), the more you eat. Do you support Bloomberg’s ban on sugared beverages over 16 ounces? Do bans like these trample our freedoms? PLEASE, ADD A COMMENT BELOW …. AND CLICK ON the “Now You Can Find Us on Facebook” link in the right-hand column. 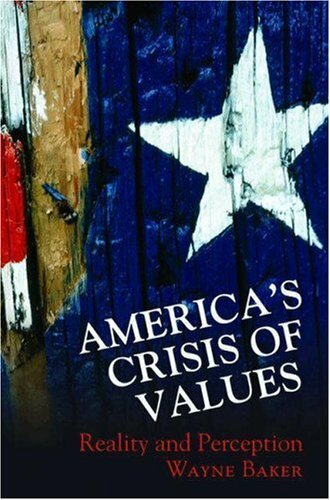 Originally published at www.OurValues.org, an experiment in civil dialogue about American values.